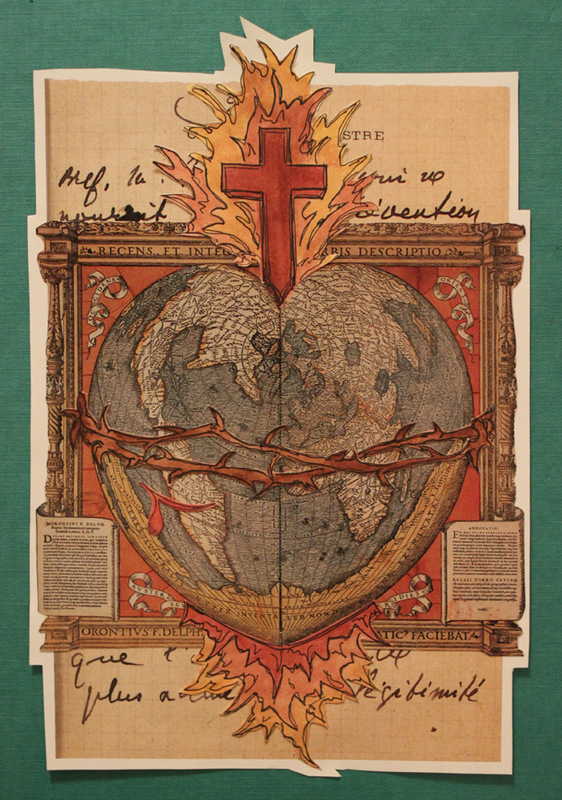 The Sacred Heart (also called the Sacred Heart of Jesus) is one of the most famous religious devotions meant to represent and emphasize the unmitigated love, compassion, and long-suffering of the heart of Christ towards humanity. I found this image of an ancient world map (Nova Universi Orbis Descriptio (1531) by French mathematician and cartographer Oronce Finé) in a book I had laying around the studio. The heart-shaped world made me think of the unmitigated love the natural world offers, as well as the suffering it endures at the hands of humanity. 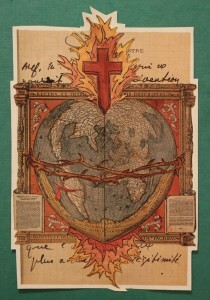 Thus, today’s project: the Sacred Heart of Gaia (Greek Goddess of Earth or Mother Earth).